Within minutes of meeting Martavious McGee, you’ll come to understand that for him, food really is life. The 23 year-old head chef of Caminos de Michoacan can hardly contain his passion and expertise as every question leads to a recipe, unfolding mouthwatering descriptions of unusual combinations and crossing cultural cuisines. It’s maybe an unexpected obsession for the Soulsville Charter School grad who spent his high school career immersed in music and trained as a violinist. 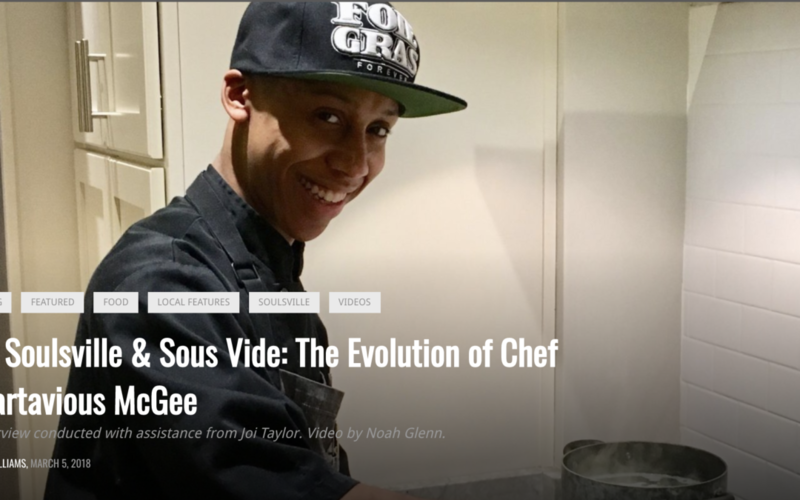 During those years, he developed an affinity for the Food Network and now, his symphonies take place in the kitchen.